Parking lots are busy places with drivers pulling in and out of spaces, pedestrians making their way into stores and walking back to their cars, teenagers skateboarding or bicycling around, and the occasional rogue shopping cart zooming by. According to the Insurance Institute for Highway Safety, 1 in 5 car accidents happen in parking lots. While parking lot accidents are usually not as dangerous as other types of car crashes because of the lower speeds vehicles travel in a parking lot, they can still result in personal injuries and property damage. If you or a loved one have been injured in a parking lot accident, then our personal injury law firm can guide you through the legal process of getting your car fixed, medical bills paid, lost wages for any time you missed at work while recovering, and other expenses. Call us at (815) 289-3209 to discuss your legal options. Vehicles backing out without looking – When a driver backs out of a parking space without looking, they may hit pedestrians, other vehicles driving in the parking lot, or other drivers backing out of their own parking spaces. If a driver just made a big purchase at a store, such as a big screen T.V., then that item may be obstructing their view as they try to back up. Poorly maintained parking lots – Potholes and other parking lot hazards can contribute to accidents. When landowners fail to upkeep a parking lot and let it fall in disrepair, they may be held partly responsible for a crash. Parking space pursuit – Reckless drivers may try to dart into a parking space which poses a danger to pedestrians and other vehicles. 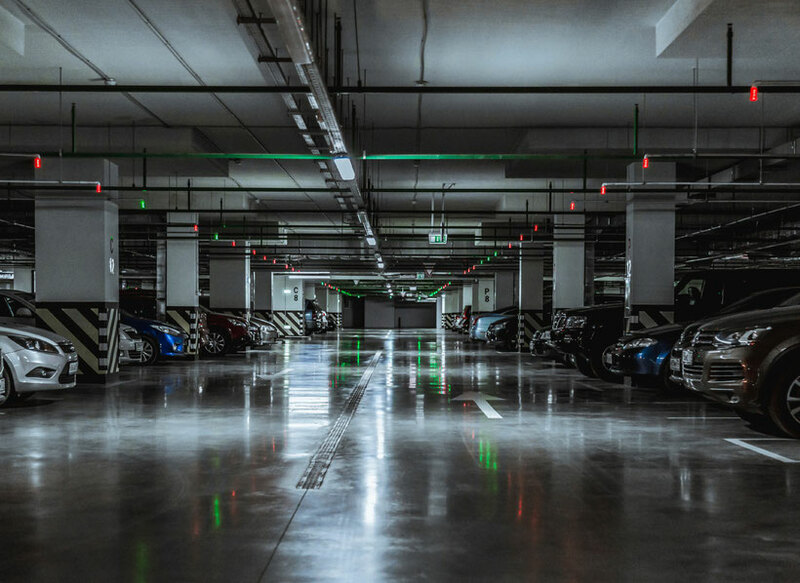 Parking garage accidents – Drivers face additional dangers in parking garages such as other cars going the wrong way and dim lighting. Crowded parking lots – The danger of parking lot accidents is heightened when parking lots get crowded during peak hours and the holiday season. Driver distraction – Cell phones, checking on kids in the backseats, and other distractions are a common cause of parking lot accidents. Fault is generally easier to prove in parking lot accidents compared to other type of cases because there are usually more witnesses to the accident and there are often security cameras in the parking lot or storefront. The challenge generally involves proving damages because insurance companies argue that you must not be that hurt because of the relatively low speed that parking lot accidents happen compared to other types of collisions, such as highway accidents. While it is true that the speed of vehicles is generally less in parking lots, drivers can still suffer whiplash or other soft tissue injuries that leaves them in pain and often require physical therapy to fully recover. Whether you were a victim in a parking lot accident or have a loved one who was injured, the Law Office of Adrian Murati can help you recover compensation for your injuries and property damage. Call us at (815) 289-3209 to speak to a personal injury lawyer about your case.